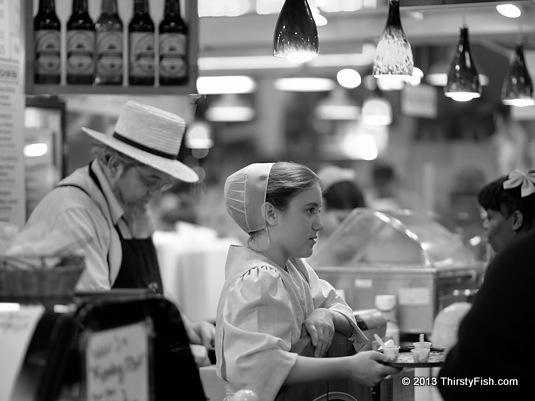 Another photo of Amish merchants at the Reading Terminal Market. In the year 1900, the Old Order Amish numbered about 5,000 adults. Today their population has reached 250,000. The Amish have one of the highest fertilty rates in the United States. It is estimated that at the current pace, the Amish population will double by 2024.